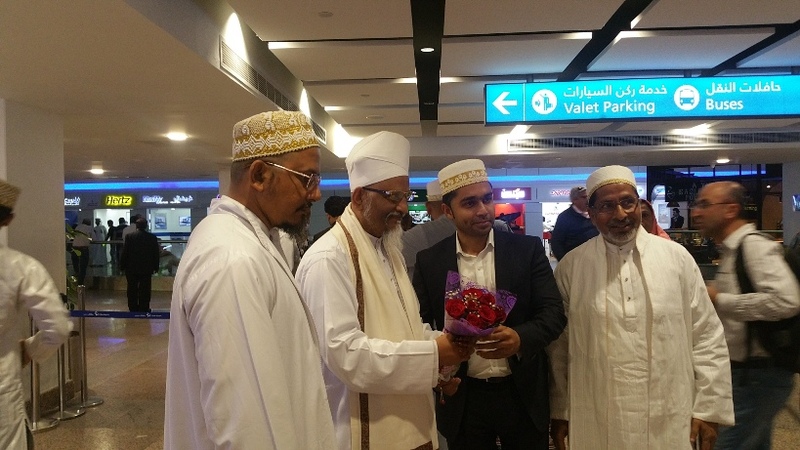 Dubai got the Barakaat of Da’wat ul-Haqq with the Aamad-e-Ahmad and Qadam mubaarak of Naa’ib-e-Imaam uz Zamaan (as), 45th Da’i ul Mutlaq Haatim ul-Khayraat Rabee’ ul-Barakaat Saiyedna Abu Sa’eed il-Khayr Haatim Zakiyuddin saheb (tus). 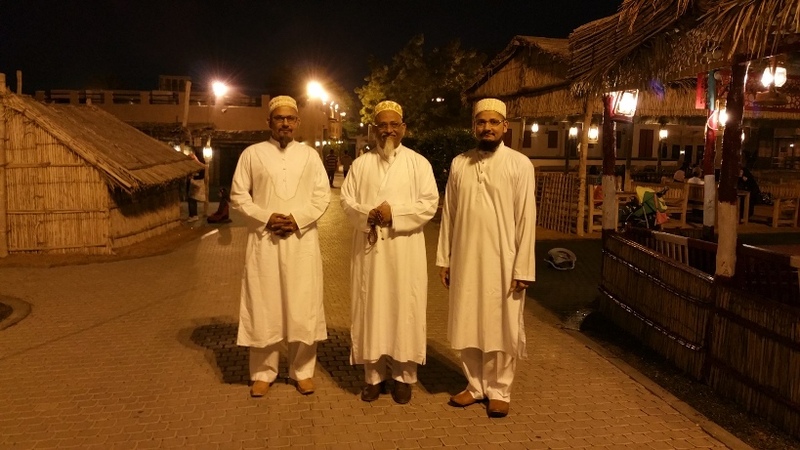 Maulaa visited Dubai on the miqaat of the ‘Urs Mubaarak of Khayr-o-Nisaa il-‘Aalameen Maulaatona Faatemat uz-Zahraa (as) and stayed for a week 18-25 Feb 2016 AD, 11-18 Jumaadi ul-Ulaa 1437 AH. 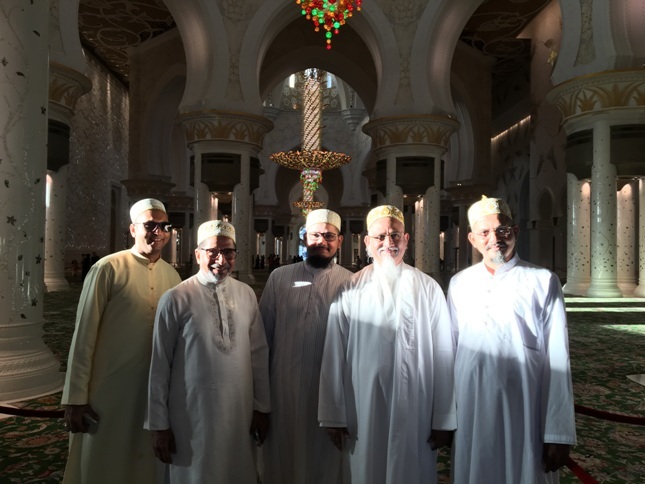 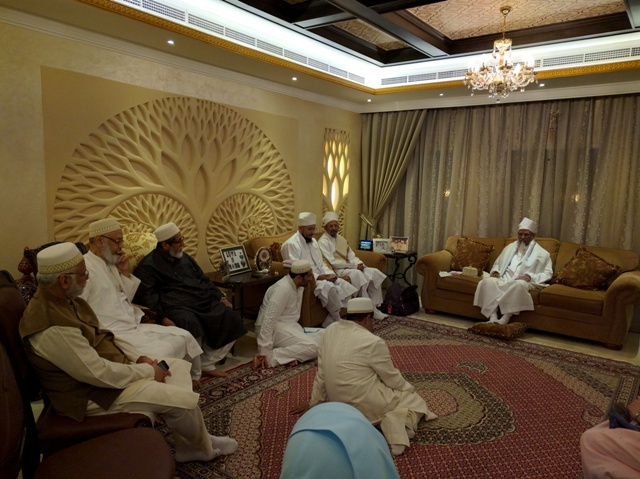 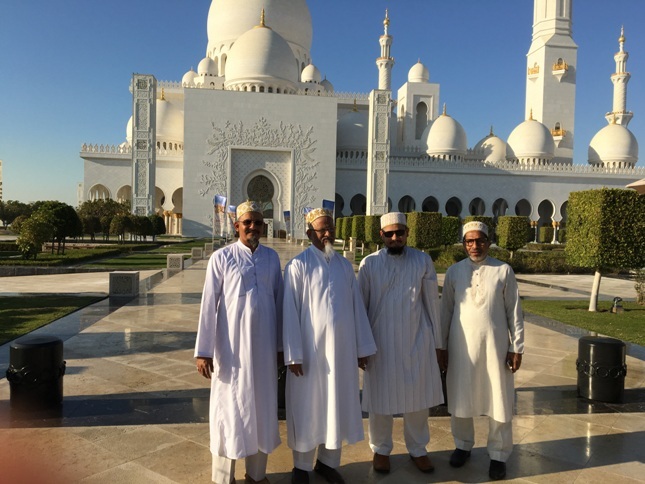 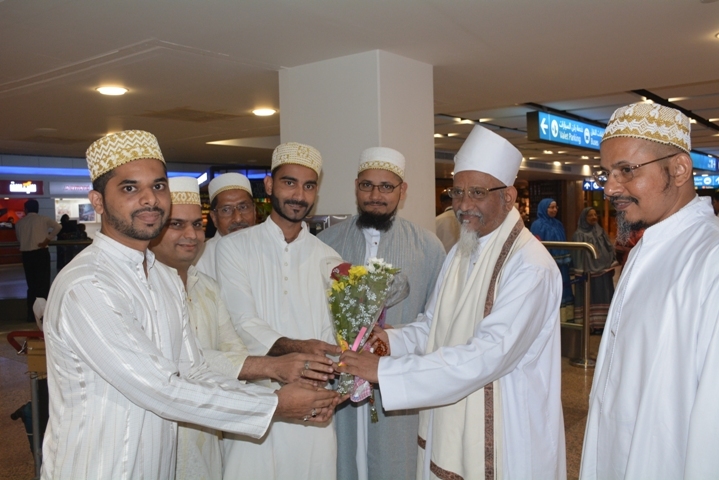 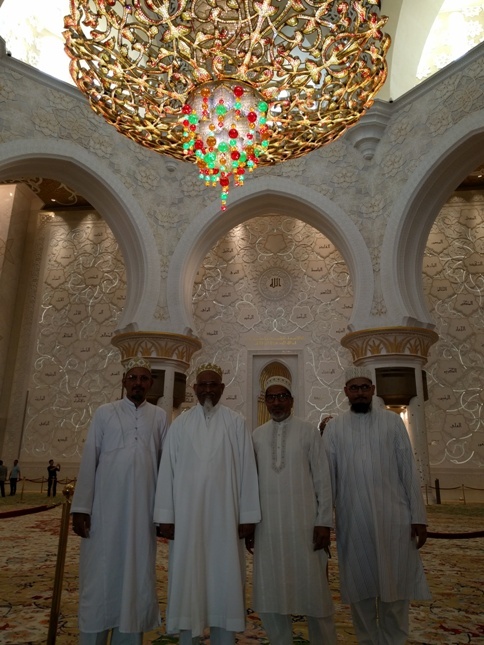 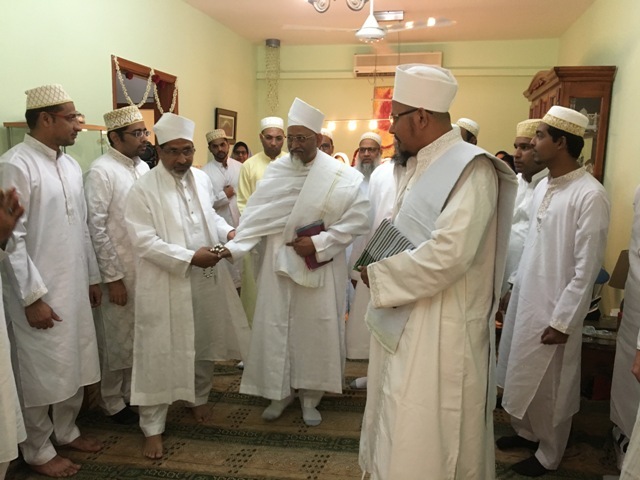 Maulaa accepted the izn-e-khaass of the Mumineen of Dubai to shower his blessings by taking their Bay’at and give them an opportunity for the Khidmat of Da’i-e-Haqq in Dubai. 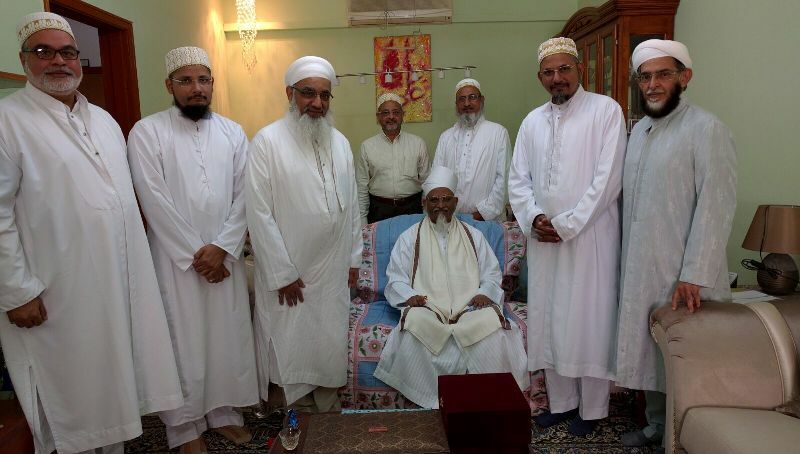 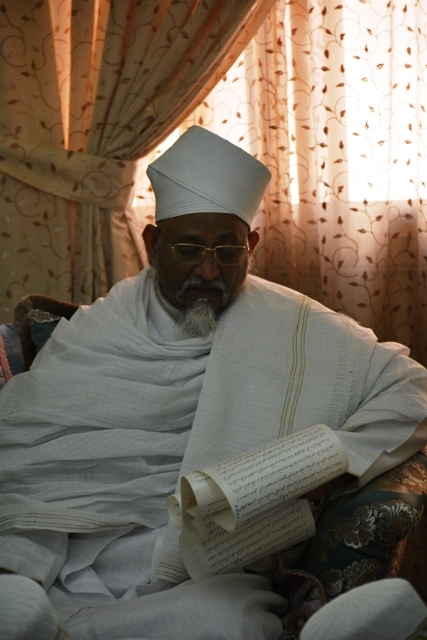 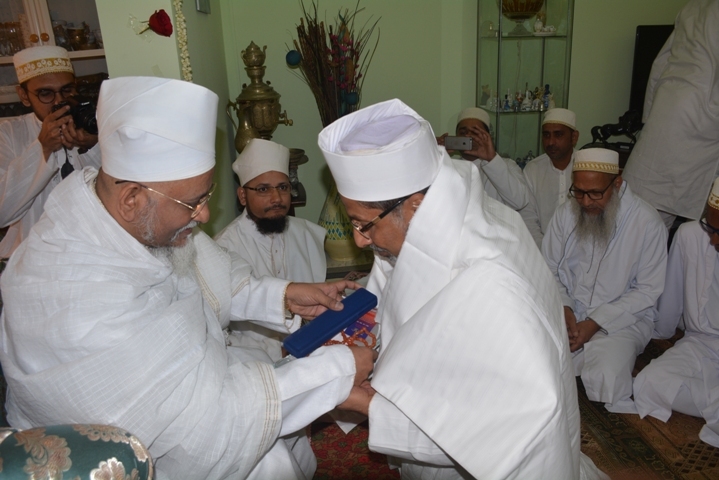 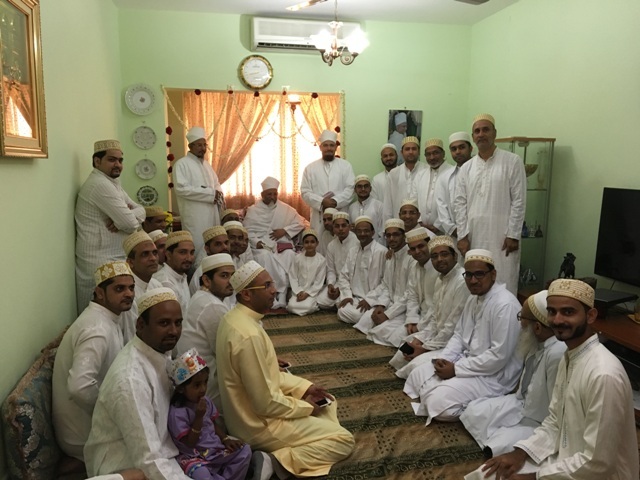 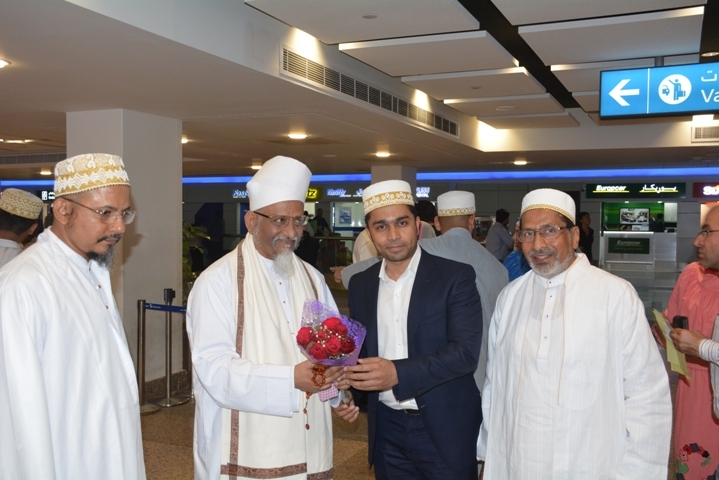 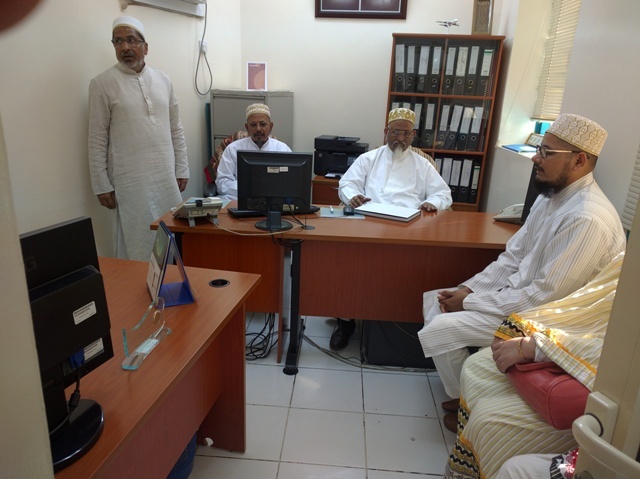 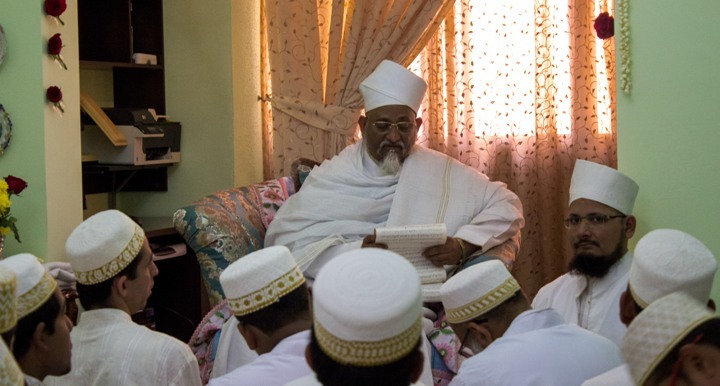 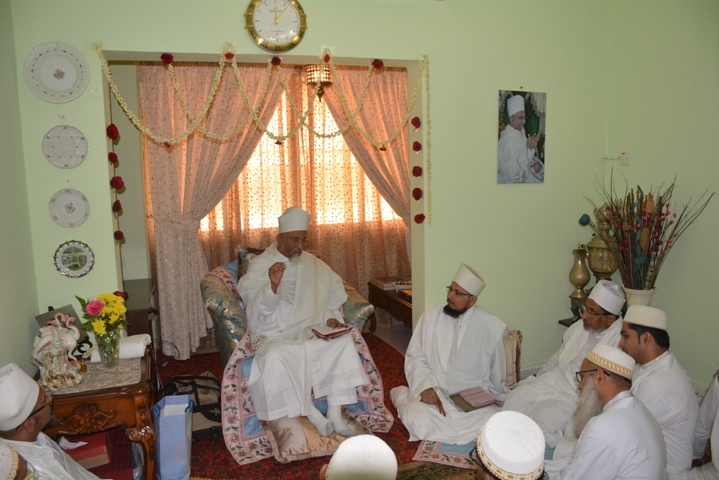 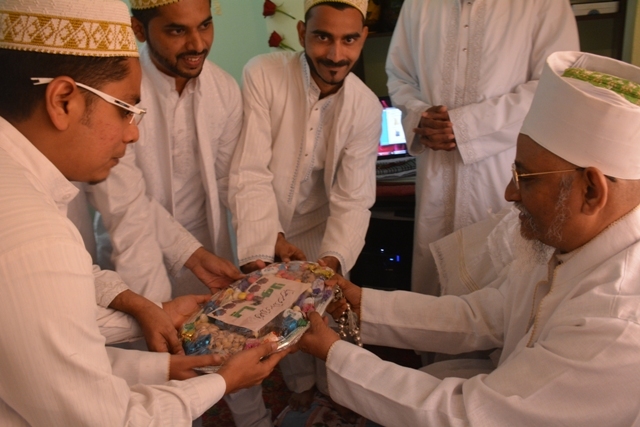 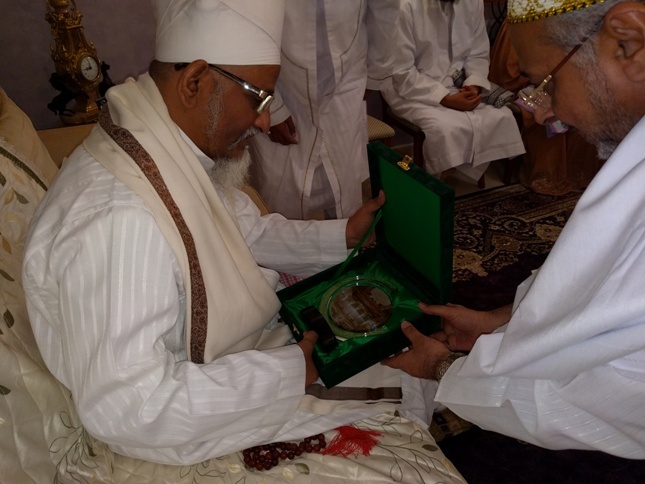 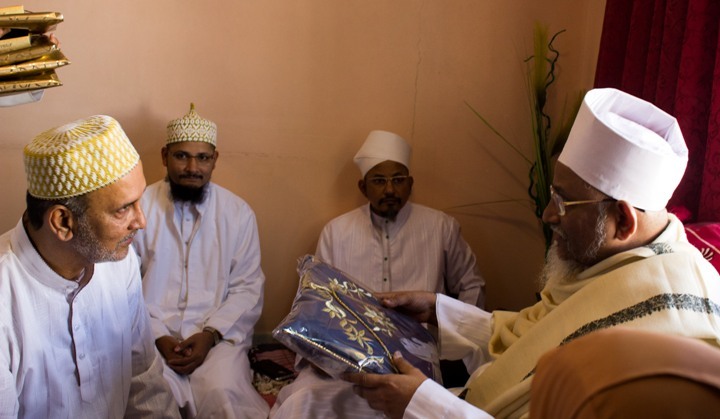 Faiyaaz ud-Da’wat il-‘Alaviyah Husainbhai Mulla Ziyauddin Adenwala spearheaded and organized the entire visit and Maulaa did Qiyaam at his place in Bur Dubai. 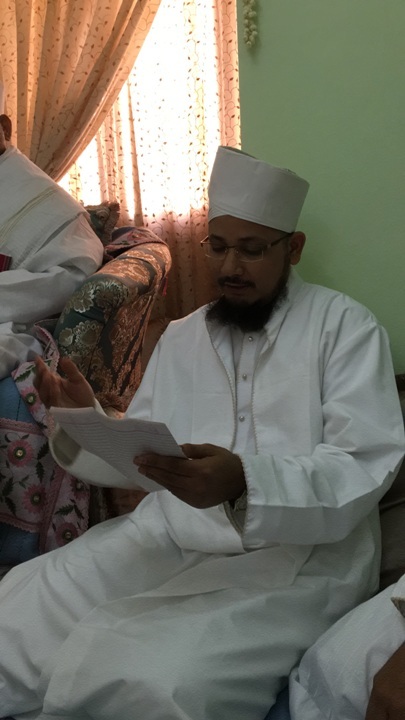 Maulaa did Nawaazeshaat on Faiyaaz ud-Da’wat for his sincere khidmat right from the first day till the wadaa’ at airport. 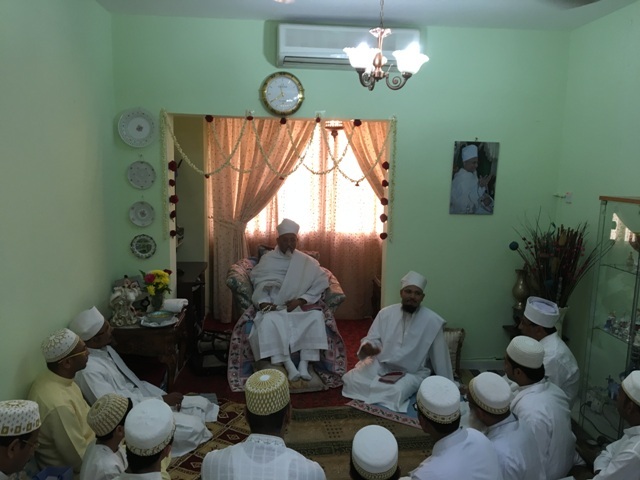 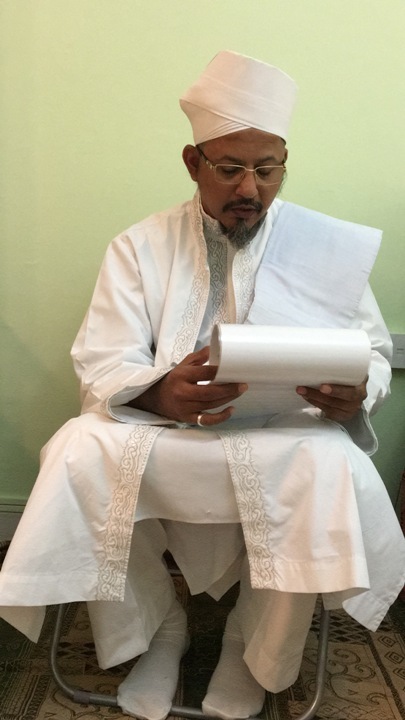 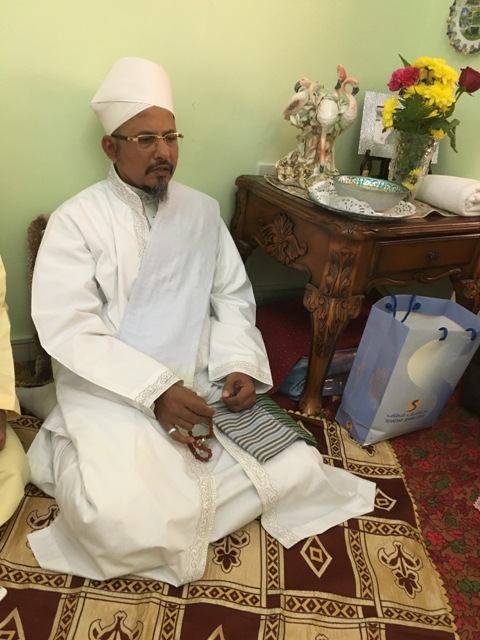 The Director of Isma’ili Centre al-Mo’azziz Amiruddin Thanawala welcomed Aqaa Maulaa at the markaz and had a fruitful meeting, exchanged akhbaar and did mushaahedah-mo’aayenah of the entire markaz. 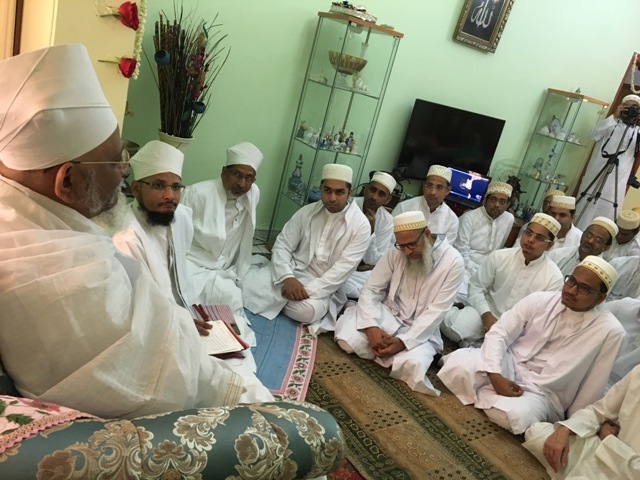 In the main hall of Jamaa’at-khaana, Maulaa did zikr of Kitaab Shawaahid wal Bayaan in which there is the bayaan for the importance of the number 7. 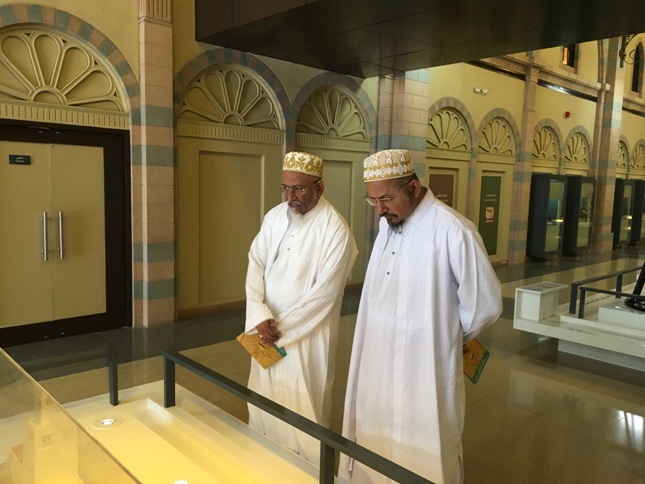 The markaz is the beautiful blend of water, sunlight, air circulation, open spaces, meeting areas, domes and arches reflecting the Fatimid style of art and architecture. 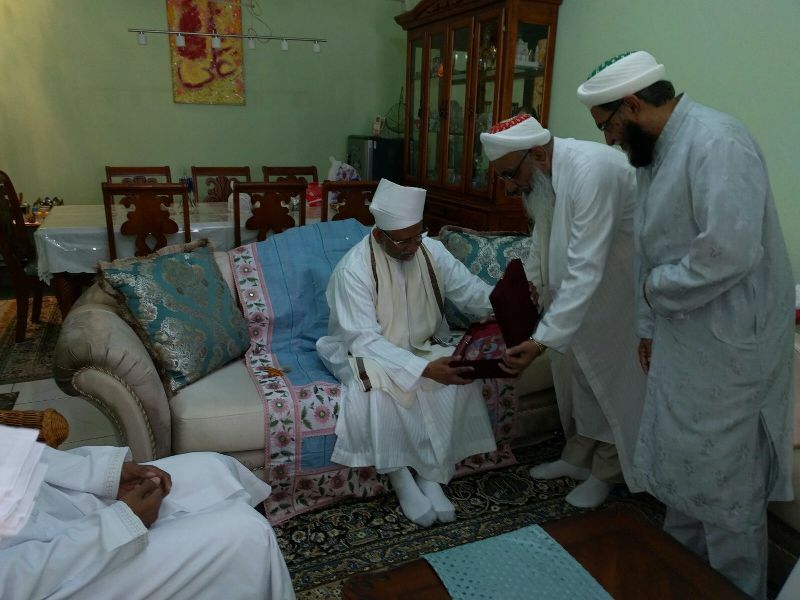 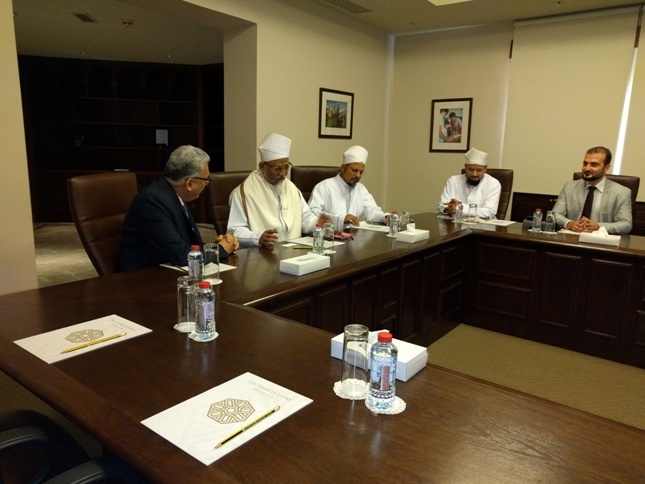 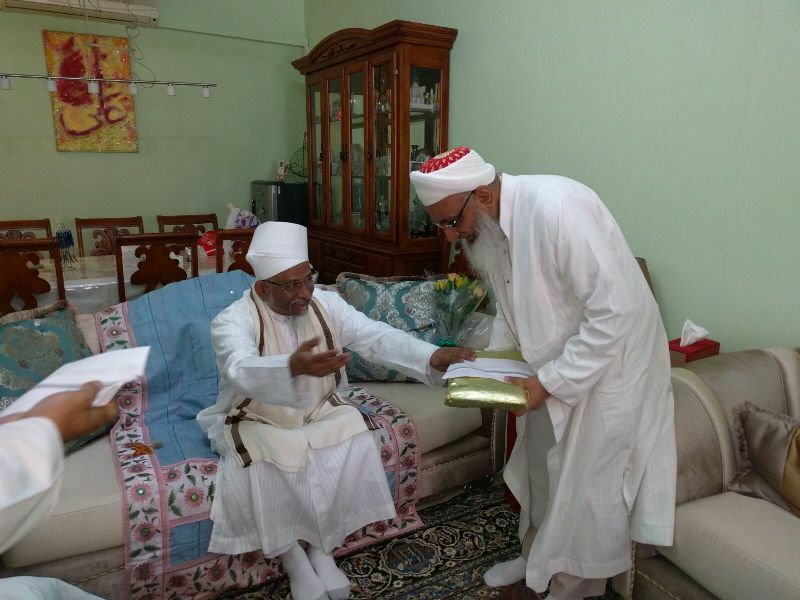 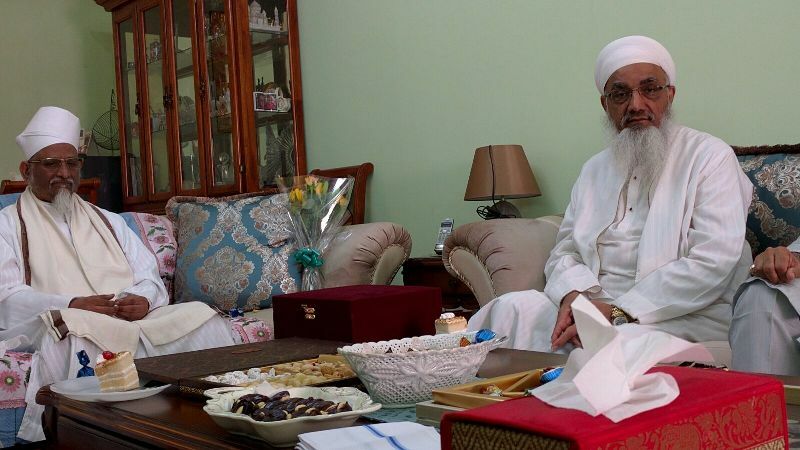 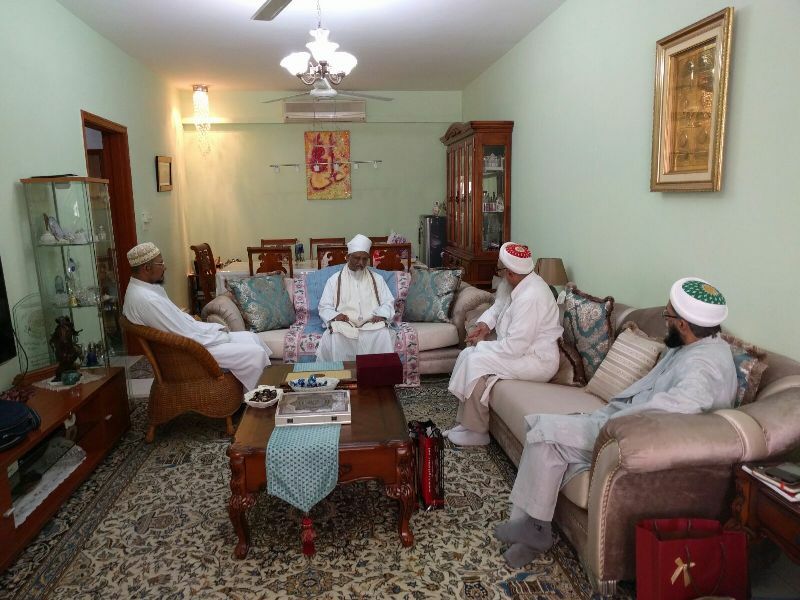 Dubai-based Indian Artist, al-Azeez Akbar Saheb, a renowned and distinguished painter, got a golden opportunity to have a meeting with Saiyedna saheb (tus) at the residence of Adnaanbhai Adenwala. 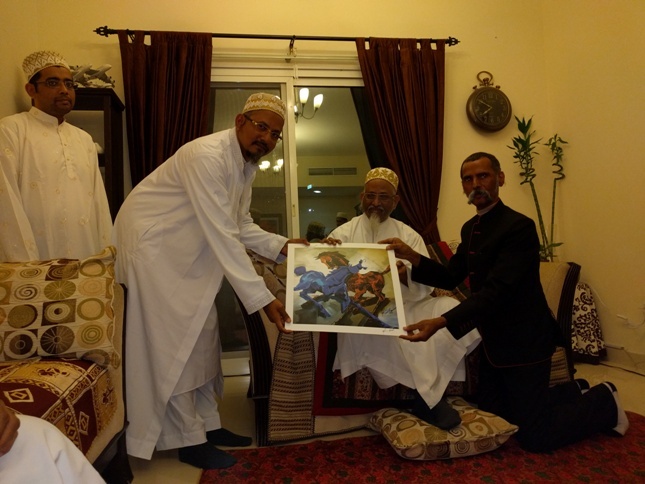 He presented a canvas painting depicting the Jihaad of Maulaana Imaam Husain (as) in the land of Karbalaa against the falsehood of Yazeed La’een. 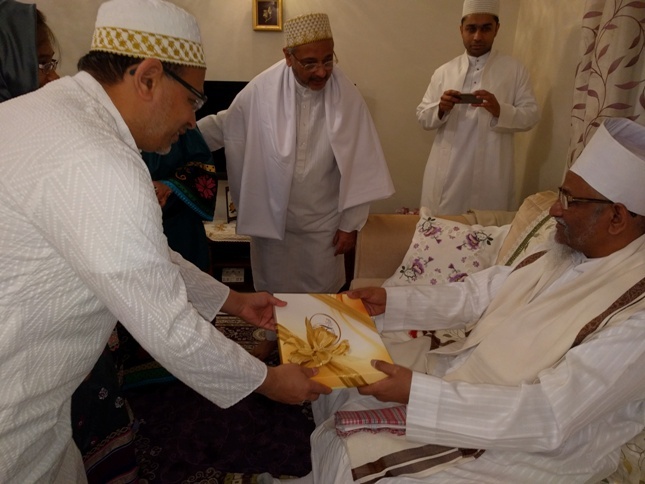 Aqaa Maulaa appreciated his works and expressed his wish to make a canvas reflecting the progress of Alavi Bohra Community. 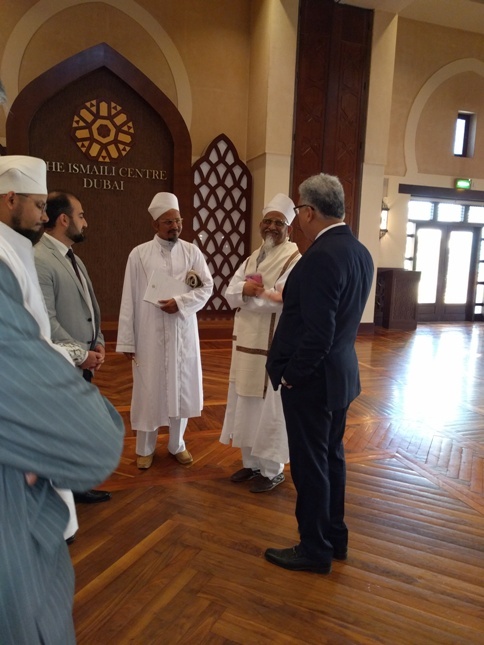 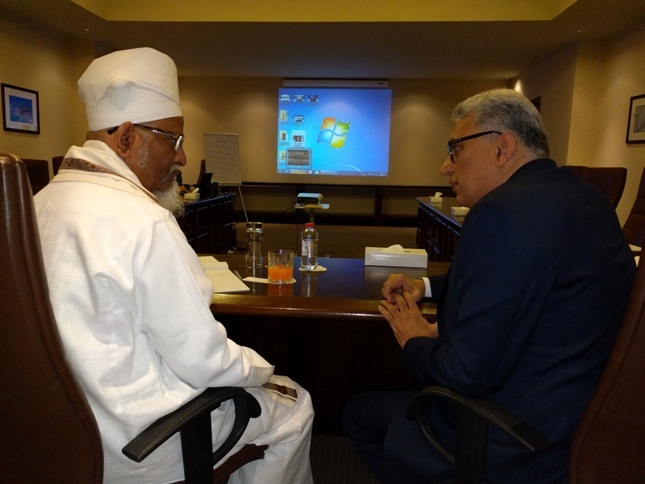 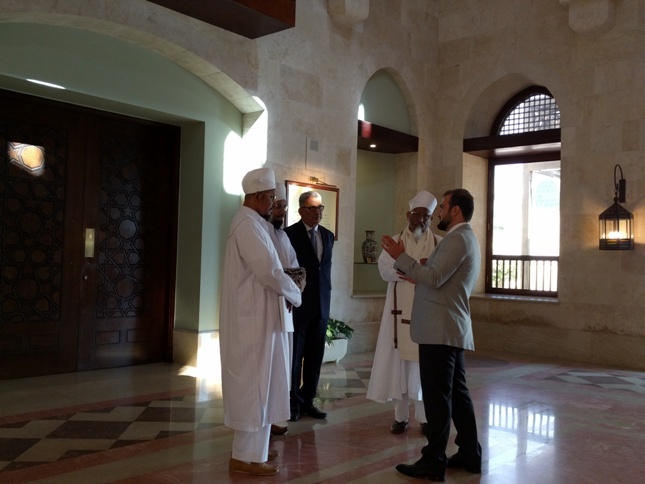 Akbar Saheb is currently working on the project of the Hukkaam of Dubai and Abu Dhabi. 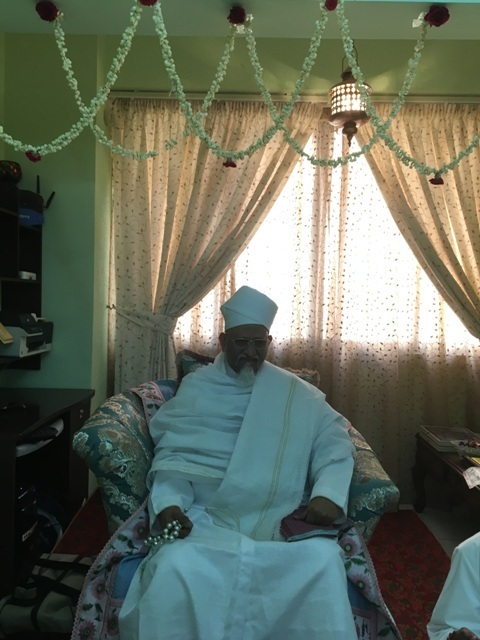 He has also painted the aim and vision of the Prime Minister of India, al-Mukarram Narendra Modi showing the progress and development of India. 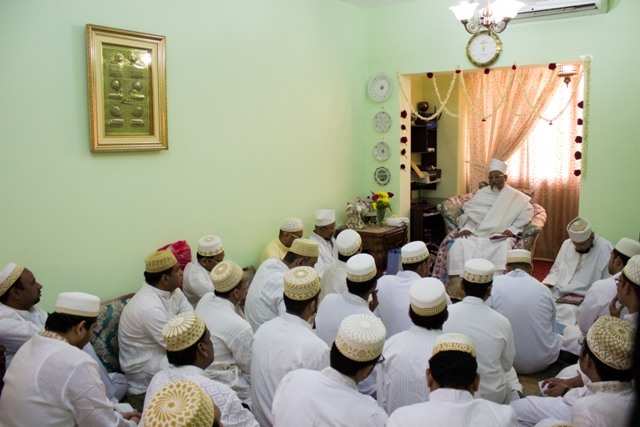 Copyright © 2016 Alavibohra.org All rights reserved. 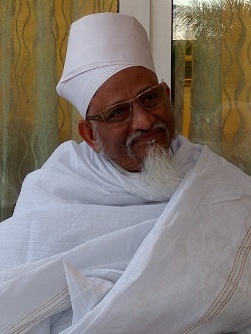 Vadodara.